Chris Cloutier Is co-owner of Golden Rule Auto Care in Dallas Texas. 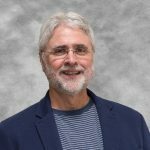 He spent many years in the software industry developing solutions for companies like Southwest Airlines, and Wyndham Intl. He’s worked for companies that understood the marriage of service and software, and have applied it in an effective way. Chris has his ASE C1: Automobile Service Consultant Certification Test (C1). He brings the business side to the business and his brother Pat brings the Braun. Chris is also a musician. Hear Chris in episodes 178 and 186. Frank Scandura from Franks European in Las Vegas, NV started working on cars as a teenager in upstate New York and moved to Las Vegas in 1988. After years writing service for Mercedes, he opened Frank’s European service in 2001 and grew to a 12,000-square foot, 10 bay shop in the northwest part of Las Vegas, not far from the famous Strip! He has 15 team members and is partnered with his wife Deborah. 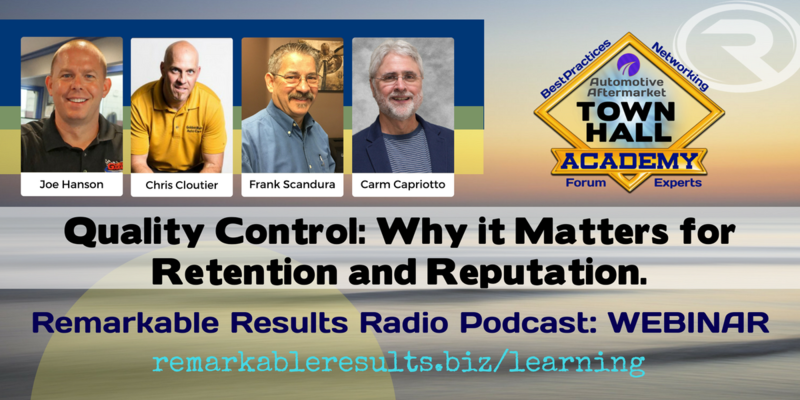 From his first immersion, in the business, pumping gas at 15 years old in Orange County New York, to writing service at a Mercedes dealer in Las Vegas Frank Scandura shares his business acumen and offers insights and trends on leadership as a business coach. Hear Frank in episode 163. Joe Hanson is the manager of his father’s business, Gordie’s Garage. Since he can remember he was either sweeping floors, running for parts or working in the shop and for the past 10 years or so managing all the operations. Joe has attended Management Success, NAPA training, Lawrence Tech University and most recently he is a member of the RLO 20 Group 13. He has earned his ASE C1: Automobile Service Consultant Certification. Under his father’s leadership he has seen what it really takes to make a business like this work. You can hear Joe on the podcast in episodes 177, Academy ‘Resolutions’ episode #2 , episode 226 direct from the ASA Connected Cars and the 200th retrospective. QC is all about the customer. You cannot manage what you cannot measure. Your business culture needs to be right to be sure everyone find deficiencies in your processes. Invest in your reputation against any negative ononlineeview. As Toyota does they celebrate when they find deficiencies. It is not about trusting your technicians it is about catching us humans making mistakes and that is OK. There is always time to do QC. Frank’s QC person has a technician background. You build up a bank account of trust with your customer. QC is so important with your first-time customer. 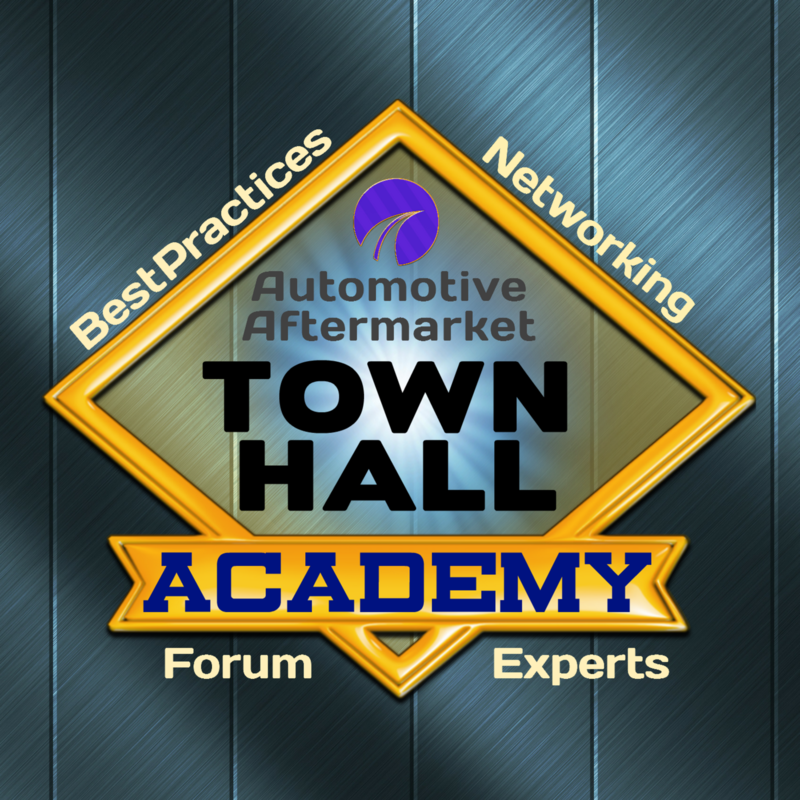 Concierge Service: Town Hall Academy: worth the listen HERE. It takes 5 – 7 minutes to walk around the car. It takes 12 – 15 minutes for a drive. Frank QC’s every single car no matter what the work that was done. Most shops do a great job fixing cars. Not good enough anymore. We need to be different and do things above and beyond expectations of the customer. Setting yourself apart. Go above and beyond. Frank suggests a book ‘Checklist Manifesto’ About the medical world. Frank: There is a moral component to treat our customers as family. Give your customer the option to step up or step out of the work that needs to get done. QC can be applied to all areas of the business. Birth to death of ticket. Quality checking the quality of the interaction with the customer. You have to have a certain level of love in your business entity. The basis in your heart. QC needs a quality process. Get your team involved. Hold your team accountable for the quality level you need to run a reputable business. Quality Control Worksheet offered by Chris Cloutier HERE.